At our Reiki share and healing cirlce, we take turns giving and receiving Reiki. We share our learnings and ideas in ways that offer wholeness to the group. Please join us. No experience necessary. What is Reiki? 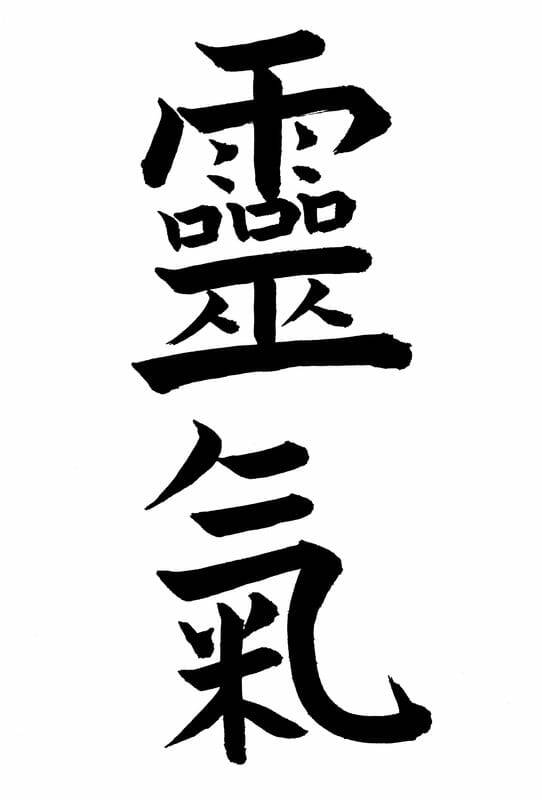 The Japanese term Reiki is made from two words put together: Rei and Ki (or Ling and Qi in Chinese). Rei means universal life energy or that which gave birth to all. Ki means energy or prana or the Holy Spirit or Magick. To the left are the two symbols. The symbols are built from the bottom up. The top symbol, Rei, begins with two sorcerers standing on the ground. The next portion is prayer. Their prayers produce rain. The top section indicates that Spirit is called through prayer. Spirit guided, soul guided life force. The second symbol, Qi begins with the symbol for rice in a pot. Above the pot is steam. The energy produced by cooking. So, Reiki is the cultivated energy of our hardwork. We participate with God by working with what we have.